VR is the latest trend in the technology industry after smartphones. There are some great VR Headsets available in form of HTC Vive, Oculus Rift, and Sony Playstation VR but these VR headsets cost a lot of money. The cost of the VR headsets like Oculus Rift and HTC Vive itself is not the only thing that forces people to looks for alternatives. These high-end VR headsets require a powerful PC to run the VR effectively. Such PCs may cost you well above $800. For those who can’t afford these high-end VR headsets or hardware required to work with these headsets, there are alternatives in form of Samsung Gear VR and Google Daydream VR. While Samsung Gear just supports Samsung VR devices, Google Daydream can be accessed by any OEM. These Virtual reality headsets are affordable and all they need to work with is a good Android phone running Android 7.0 Nougat or above. Below well will tell you everything you need to know about the Google Daydream. Google Daydream is a VR platform based on Android 7.0 Nougat which was revealed to the world at Google I/O 2016. It is basically an evolution of the Google Cardboard. Google Cardboard was an experimental platform with no VR apps nicely optimized for VR. Google Daydream has a good inventory of VR apps and games specifically optimized work nicely with the Daydream Headsets. Requirements: Is your phone supported by Google Daydream? Google Daydream supports any device that has a Full HD 1080p display with a frequency of 60Hz and latency of 3ms or less. Other requirements include Bluetooth 4.2 LE or higher, OpenGL ES 3.2 and Vulkan support. The supported display sizes for Google Daydream are between 4.7 and 6 inches. The device running the Google Daydream must also have the processing power to decode 2 instances of 60fps video simultaneously. The mobile device also must have temperature sensors to avoid any accidents in case the device’s temperature rises while using the VR. Currently, there are only a few devices that support Google Daydream VR including the Google Pixel, Pixel XL, Moto Z / Z Force, Asus Zenfone AR, Mate 9 Pro, and ZTE Axon 7. 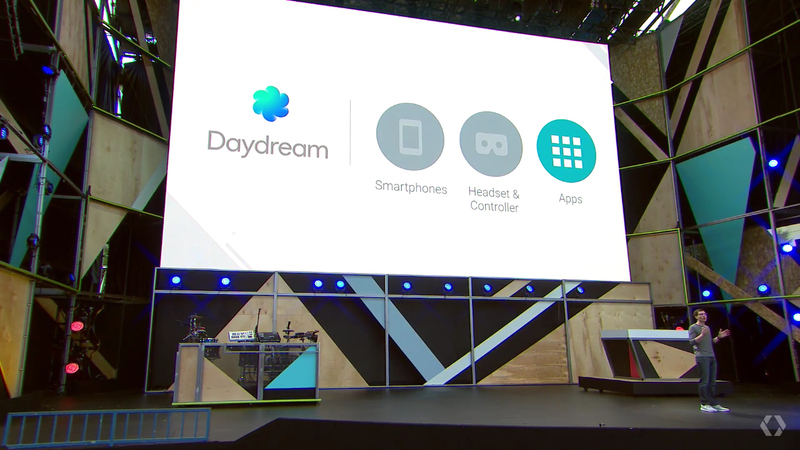 Most flagships and other high-end phones coming this year will have support for Google Daydream. The good news is that Unity and Epic have also announced support for Daydream platform so the future of Daydream gaming is bright. Huge developers like Ubisoft and EA are also busy developing amazing titles for the Daydream platform. Here are some best apps and games for Google Daydream that you should check out on Google Play Store. Check out Techdue for more updates about Google Daydream and compatible smartphones.